HARVEY, La. — The Vicari Auction Company announces its 3rd annual New Orleans Classic Auto Festival Dec. 1, 2012, at the famous Mardi Gras World in New Orleans, La. 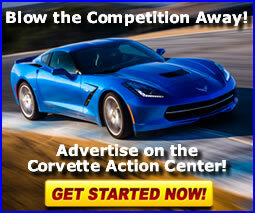 More than 200 classic and muscle cars will cross the block, led by a rare 1963 Chevrolet Corvette Pilot Car Serial #16. 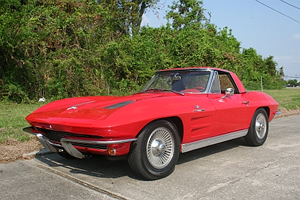 "In preparation for the introduction of the re-designed 1963 Corvette, a limited number of handmade pilot line cars were produced in St. Louis, Mo., for the purpose of road testing the new design," said Pete Vicari, president of Vicari Auction. "After testing, these Corvettes were supposed to have been crushed, but a few survived. It is believed there are four or five restored Corvette Pilot Cars left in the world, and only two known original matching numbers cars: Serial #3 and #16. The unique characteristics of these hand-built cars are clearly noticeable by the quality of workmanship in this Corvette, which doesn’t feature the traditional smooth fiberglass of production cars." This Corvette Pilot Car has the original 4 speed, 360 HP 327 cubic inch fuel-injected V8 engine and features red paint with a red vinyl interior. It has been with its current owner since 2001, and was expertly restored with new paint and a rebuilt engine. The original motor has 106,000 miles on the speedometer. Additional features include sand cast FI units, a smooth-surface console with no grid lines, an early clock with burnished face not painted silver, and early upper ball studs with a rectangular weld pattern. The cars will be available for preview on Friday, Nov. 30, 2012. Pre-registered Bidders and Consignors will be invited to join President Pete Vicari and his auction staff at a VIP Preview Party along the scenic Mississippi Riverside for an evening of entertainment and authentic New Orleans cuisine that evening.